I’ve Partnered with Ryboi Nation to bring some fun to your summer and host a great tool giveaway!! 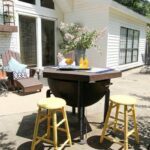 Summer fun and games will be here before you know it and we wanted to join in on the backyard fun! 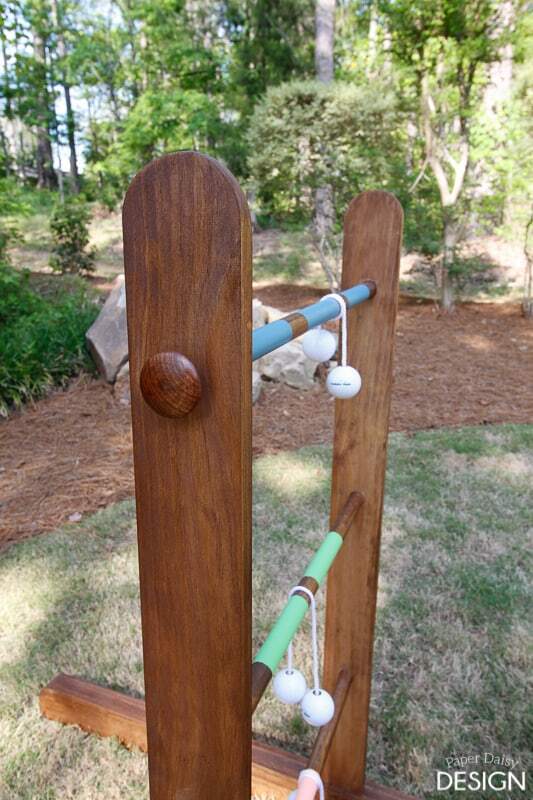 We played ladder golf with family and I knew it was the perfect game for our yard! 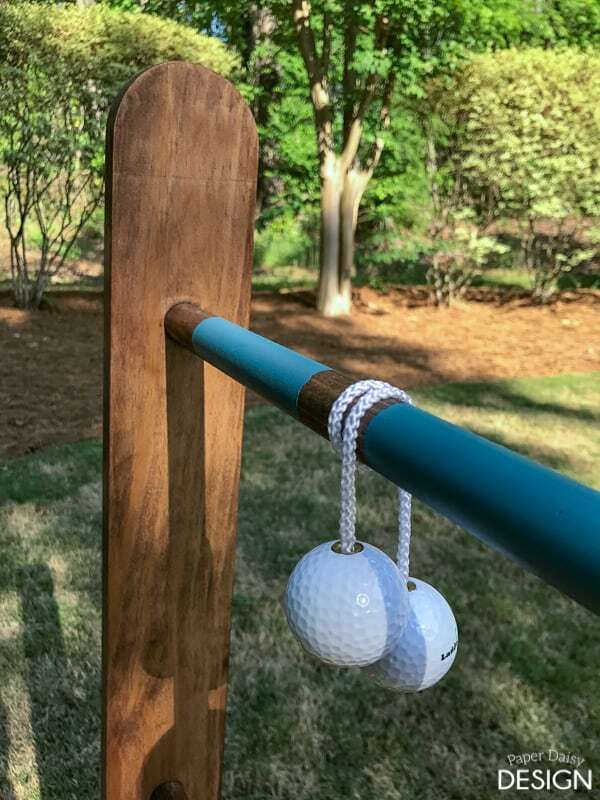 What’s great about ladder golf is it doesn’t require too much space and it doesn’t have to be perfectly level, although it would be harder on a steep slope. Our backyard has a bit of slope so nothing requiring a level ground or something oversized was going to work for us. Once our landscaping is complete and we re-sod some the yard that was killed during our renovations we will be ready! My neighbor kindly let me “borrow” her backyard for these photos. We also designed it to be portable, so you can take it with you this fall for some tailgate fun too! Here is a great resource for the bolas used to play. They come in a variety of colors too so you can choose your favorite combination. 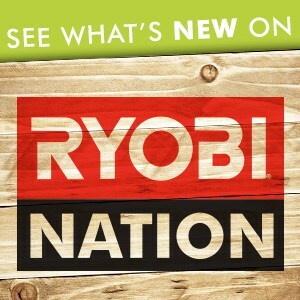 The detailed building plans and cut lists can be found at Ryobi Nation along with other extremely fun outdoor games!! But don’t miss the giveaway below!! Here a few extra tips for building this ladder golf game, but really these tips can be used in many building projects. 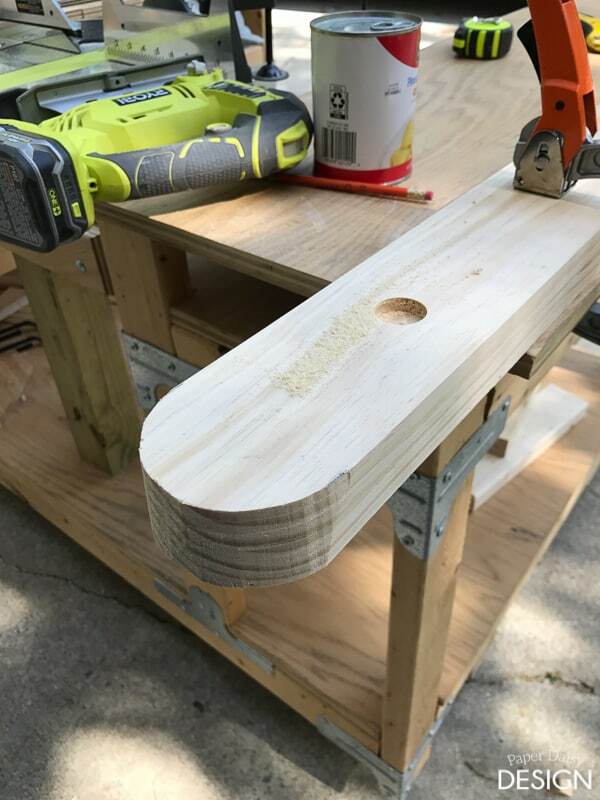 Anytime you have repeated exact cuts we find it to be extremely helpful to create either a stop or a jig. You might be surprised how minute changes in measuring and marking can throw off a precise project. 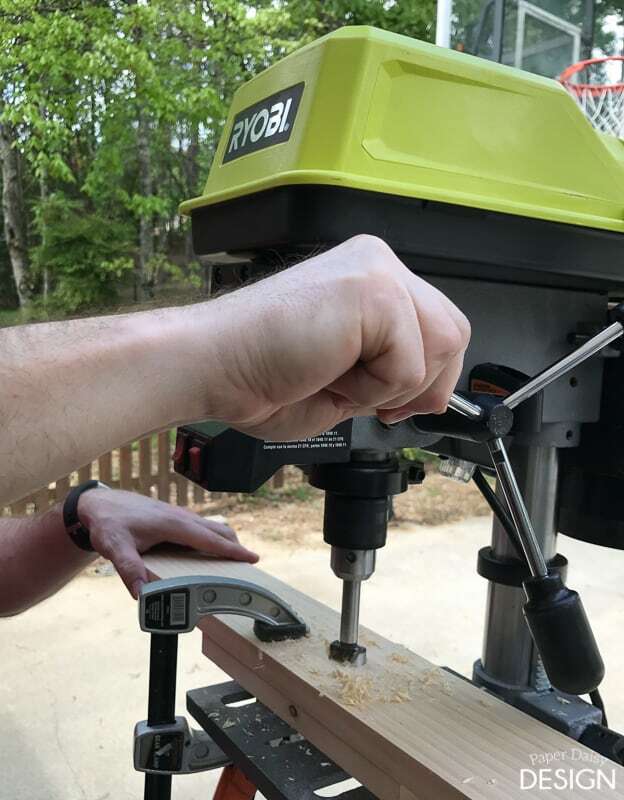 Using a drill press is extremely helpful for lining up holes for a ladder and peg joinery. A standard drill can also perform this type of task but the same degree of is difficult to achieve. Fancy templates for circles are unnecessary. I just went to my pantry to find the right circle to create an arch. 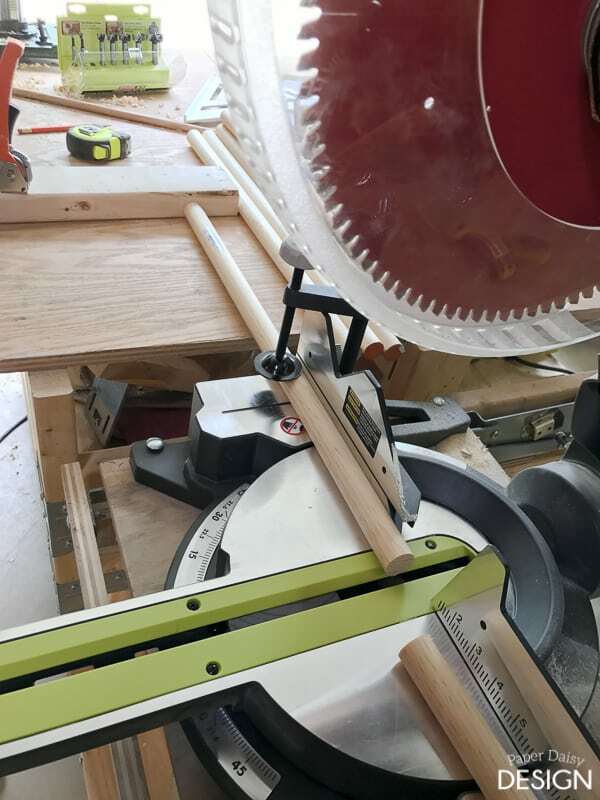 Create marks for alignments and you are ready to cut with a jig saw. 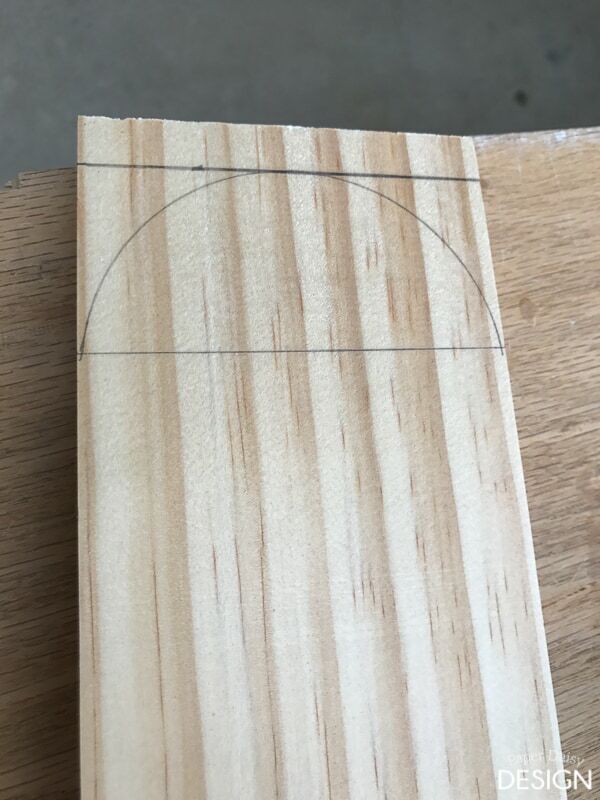 Don’t be too worried if you circle is not perfect. 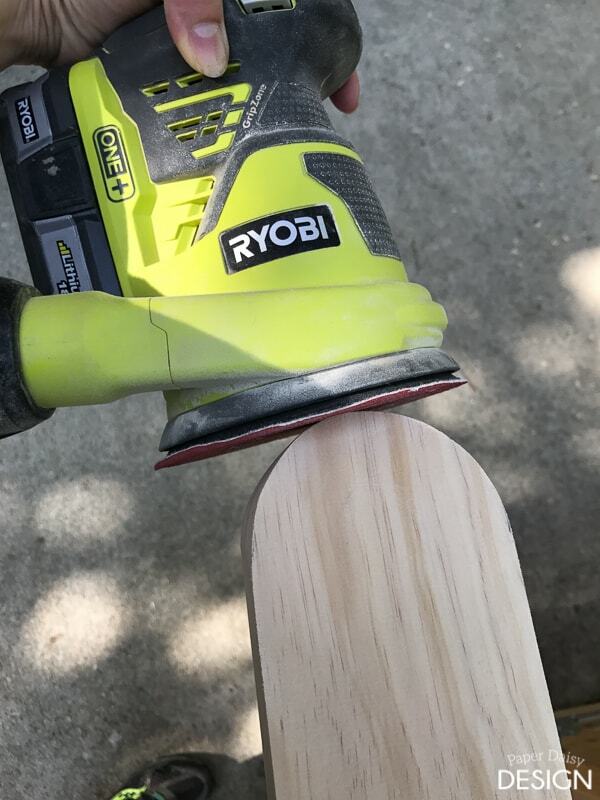 An orbital sander is your friend for nice, smooth turns. Winner will be notified via email. If winner does not respond in 48 hours a new winner will be selected. Not open to residence outside of USA. Sorry. The stripes you have look great, as does the whole set! 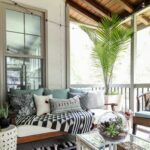 I looked to try to find what it is you used for the stripes but cannot find it in the article or steps. Can you fill that detail in please? Thanks! I just used paints I had on hand and then finished them with a top coat of Wipe-On Poly. 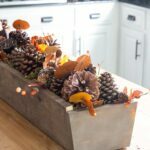 Be sure to check out the full tutorial at Ryobi Nation! I need a new jig saw and new drill, we have a fort for the kids and are going to build a skate board ramp f the 10 year old! 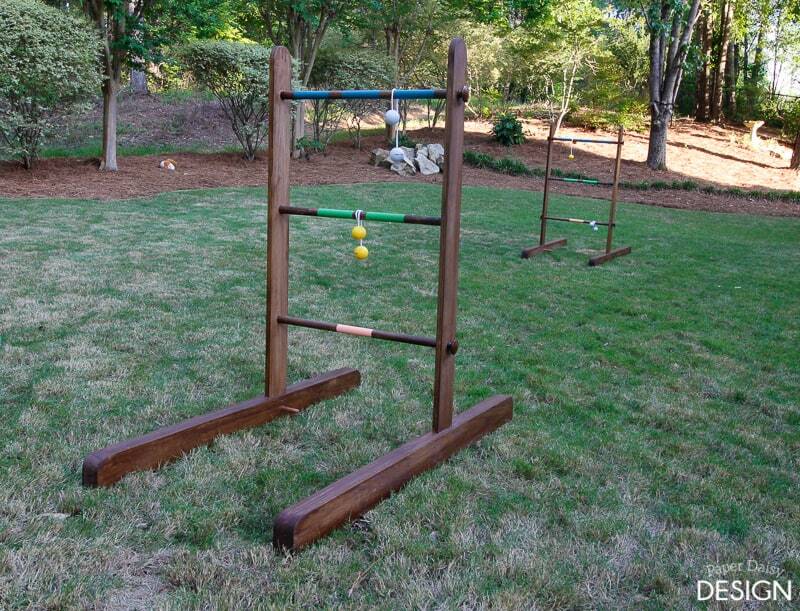 This looks like a great game to whip up for summer afternoons in the backyard. My daughter would love it. Thanks for the idea! Might see if I can get it knocked up this weekend even. This is super cool. I’ve been looking for an outdoor project for a friend with young kids and this would be perfect. Thanks for sharing. Great project Idea! The link for the bolos on Amazon is perfect. Thanks, I thought they were a good find. I didn’t want to hassle with drilling the golf balls. I’m terrible at golf, but my husband would love this! I’ve never heard of this but looks fun. I so need a new mitre saw. I love old fashioned croquet. It is a very fun and not too difficult game. You should give it a go! I love Ryobi, and especially how much they embrace women who use powertools!! But mostly for the quality of their products! I have some tools but i think next i need a table saw, and/or a planer of some sort to help with long boards? But would LOVE any of their tools! My all time favorite yard game is volleyball! But i really like this yard golf game you made and it looks like a blast to play! Great project!! Oh man… we need all the tools so we can build the girls a swing set/playhouse this summer! 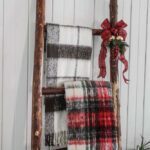 Everyone we have seen online or in the stores are not what we are looking for, so I think we are going to come up with our own plans and build our own. 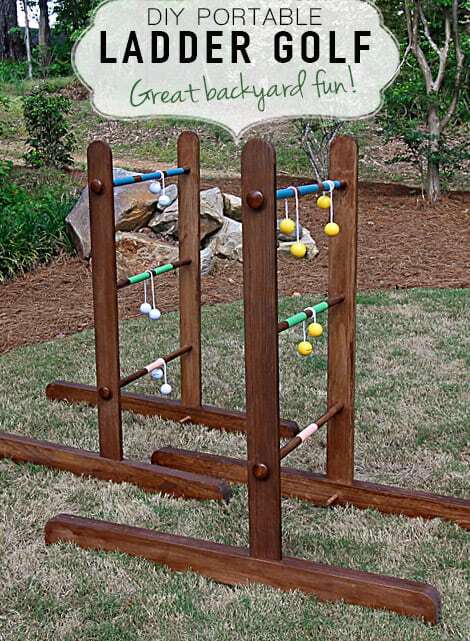 If I had a drill press I could make THIS backyard game! 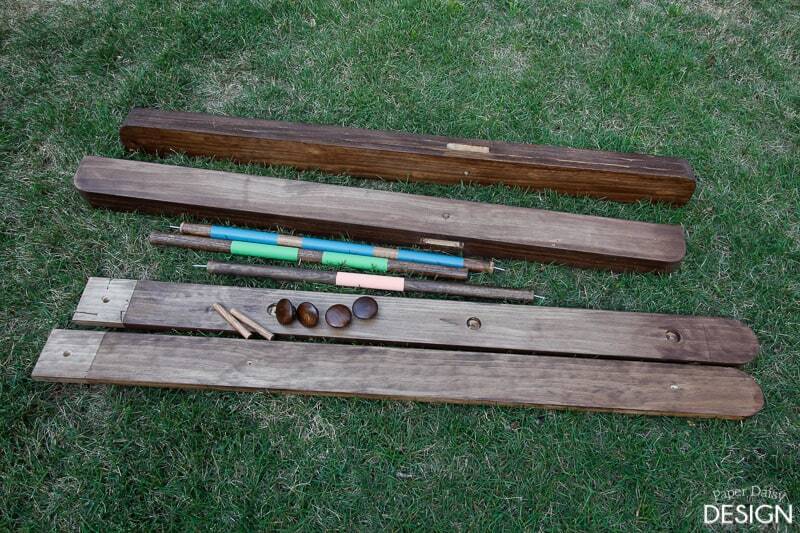 What tools do you need most and what games do you like to play in your backyard? 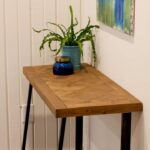 I would make great use out of a drill press! I like to play corn hole in my backyard. That would be another fun project!